Our research on the Canning River Delta in 2017 is focused on answering questions about the movement and habitat use of Semipalmated Sandpipers and Dunlin after the breeding season is complete. 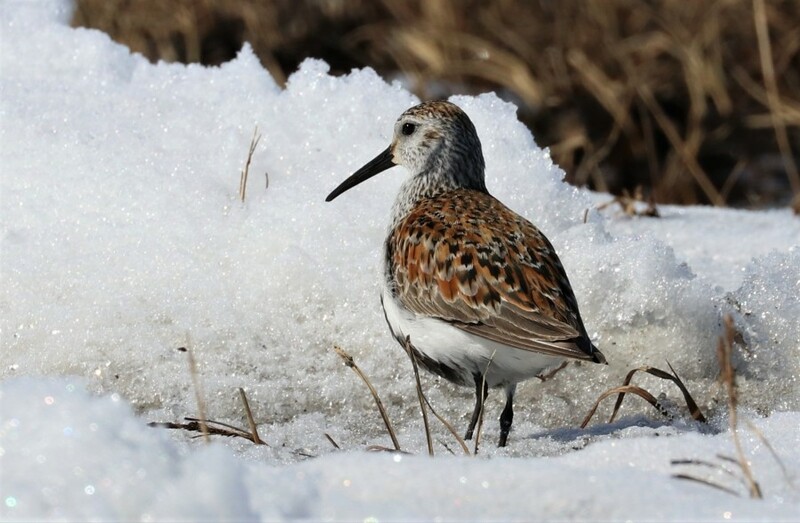 We know that both species use the Arctic Coast for pre-migration staging in the late summer and fall, but this period in the annual cycle of shorebirds is poorly understood. Our work will answer questions about when these birds arrive at and leave the coast, how much they move around before migration, and the specific habitat types they are using. These data are essential to understanding how changes caused by climate change and coastal development are affecting shorebirds on the Arctic Coast. 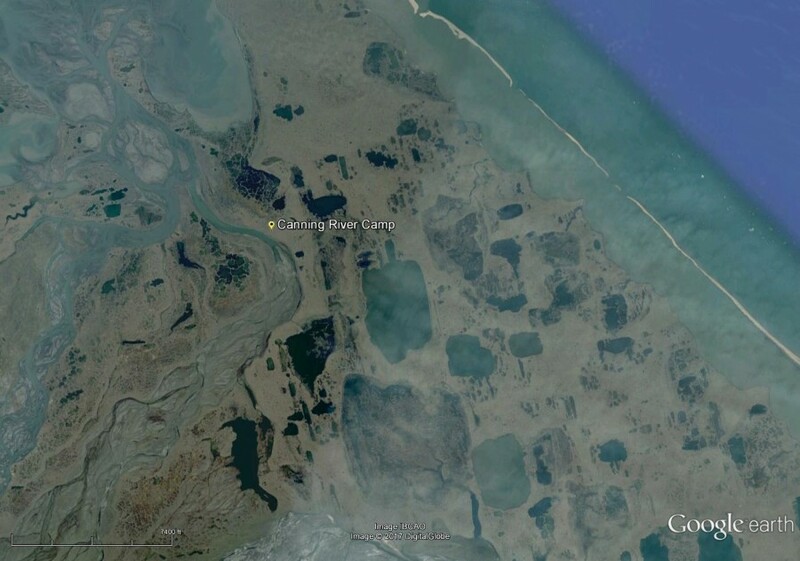 Our camp is located in the Arctic National Wildlife Refuge, on the north slope of Alaska. 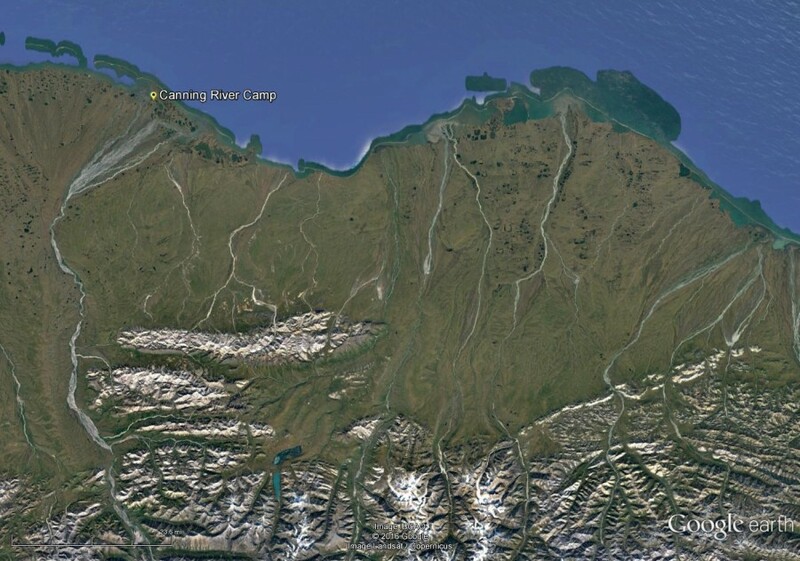 This series zooms in progressively closer, starting with the whole state of Alaska, then the coastal plain of the Arctic Refuge, then the lakes surrounding camp on the Canning River, and finally a close-up in which you can actually see the camp. 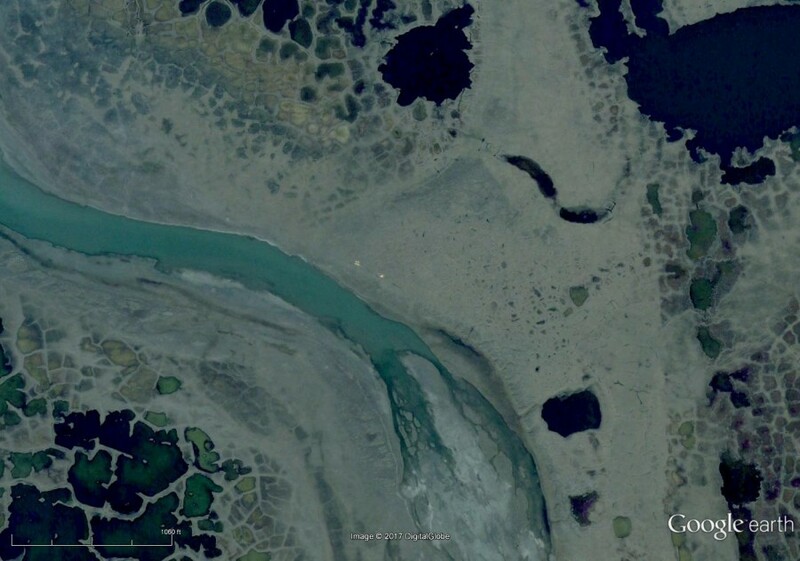 Photos from Google Earth. We hope to learn more about post-breeding habitat use using a new technology developed by Lotek Inc. In the past, we have used light-level geolocators to track broad-scale movements during the annual cycle. Geolocators are an excellent tool for discovering continental-scale patterns of movement, but do not yield precise locations and do not work at all during the 24-hour daylight of the Arctic summer. Recently, GPS pinpoint tags were developed that provide a new tool for understanding habitat use and movements of small birds. These tags, weighing as little as 1.0 g, collect GPS-quality locations (i.e., +/- a few meters) at pre-programmed intervals. 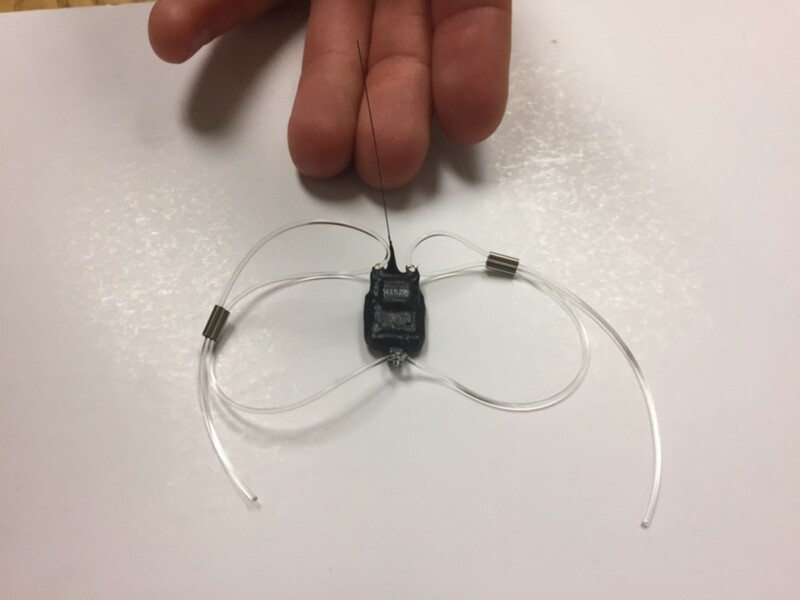 Like geolocators, the smallest of these tags require birds to be recaptured to download information from the devices. Perhaps the most exciting aspect of the new GPS tag technology is the ability to identify specific habitats used by birds. 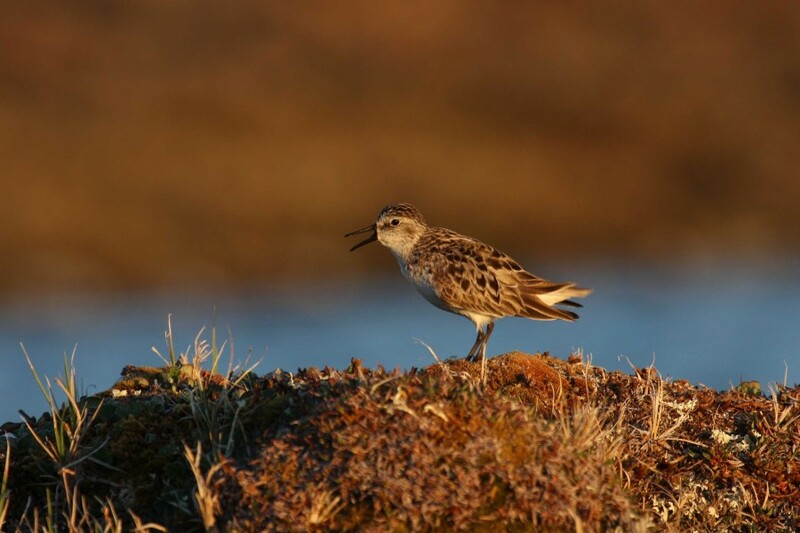 Our previous ground and boat surveys have identified major sites and habitats where shorebirds congregate on the Arctic Coast, but have always been limited by physical access and by the difficulty of finding tiny sandpipers in some habitats. It is entirely possible that some hot spots used by these species have gone undetected. 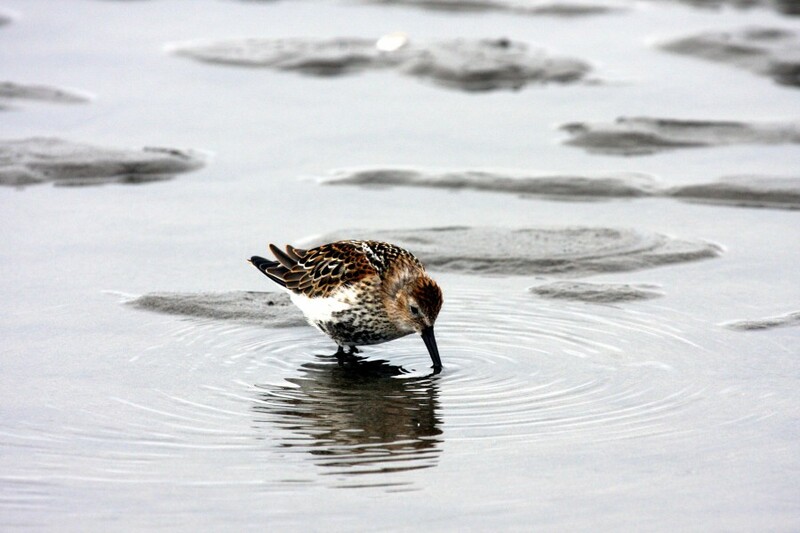 This juvenile Dunlin is feeding on a coastal mudflat and was photographed on our coastal survey in 2008, but we may have missed many others. This year we hope to learn much more detail from the GPS tags about what sites are used in the post-breeding period. The new tags should allow us to assess shorebird preference for different habitat types, as well as how shorebirds respond to fall storms and the accompanying storm surges. We will also be able to see if shorebirds use areas where oil from oil spills may concentrate (e.g., river mouths), areas proposed for oil and gas development, and areas currently being used by native communities and industry. This project is part of a larger two-year initiative at multiple sites across the Alaskan Arctic. In addition to the Dunlin and Semipalmated Sandpipers we will be tagging at the Canning River Delta camp, crews at other field sites at Utqiavik (formerly Barrow), Prudhoe Bay, and the Colville River will be tagging Bar-tailed Godwit, American Golden-plover, and Buff-breasted Sandpipers. Several of the other partners working collaboratively on this project at other sites will be including additional species, like this Buff-breasted Sandpiper. 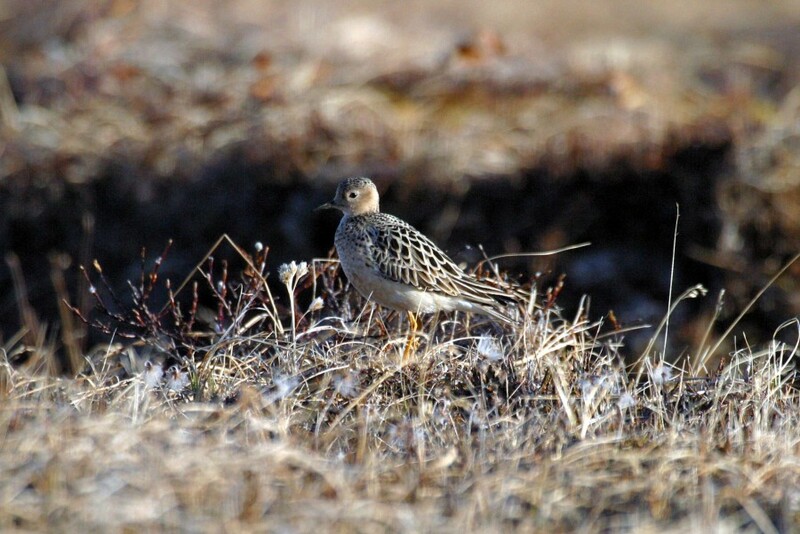 This bird was photographed during one of our previous expeditions to the Arctic Refuge in 2004. Photo credit: Brad Winn. Very excited to follow this season’s work! 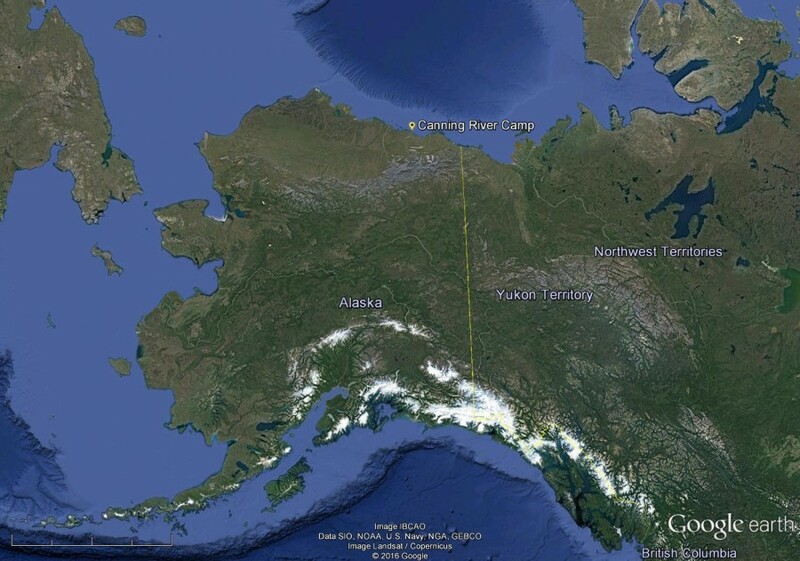 Really cool to see the camp on Google Earth! I remain in awe that geolocators can make the migratory journey on birds. Hope the wind dies down for you. Always eager for the next update.